CAN’T MISS BJJ SEMINAR THIS WEEKEND ONLY $20/$35! Join us and one of the Pacific Northwests most elite competitors, Brian J. Johnson, for a unique BJJ seminar this Sunday. These two mini-workshops are perfect opportunities for those considering adding some groundwork to their training and for those with experience looking for some new techniques and refinements. Designed for ALL levels. 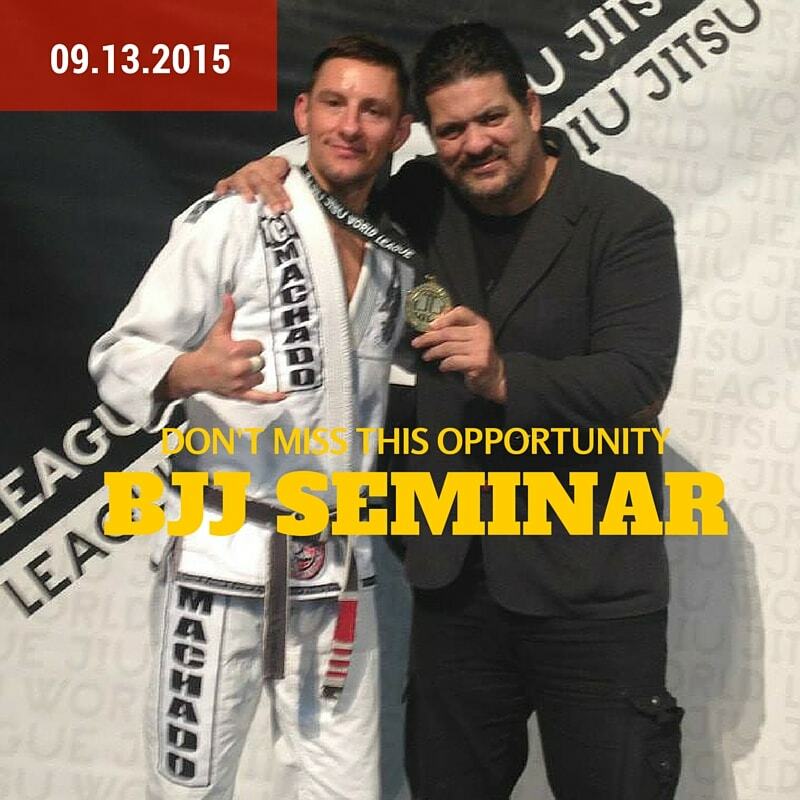 Don’t miss this opportunity to train with one of the best coaches and competitors in the BJJ community. Your knowledge of Jiu-Jitsu and Self Defense will improve greatly. The first session is no-gi and will feature a grappling with self-defense emphasis and is a perfect starting point for those new to BJJ and for experienced practitioners to see a different perspective. The second session is gi based featuring beginner and advanced techniques. ALL LEVELS and abilities are welcome and encouraged to attend. If you don’t have a Gi, don’t worry, still show up for both and you will still learn a ton. $20 for each session if you only want to do just Gi or No Gi and $35 for both sessions. Generally Brian charges $120 per seminar so this is a steal.